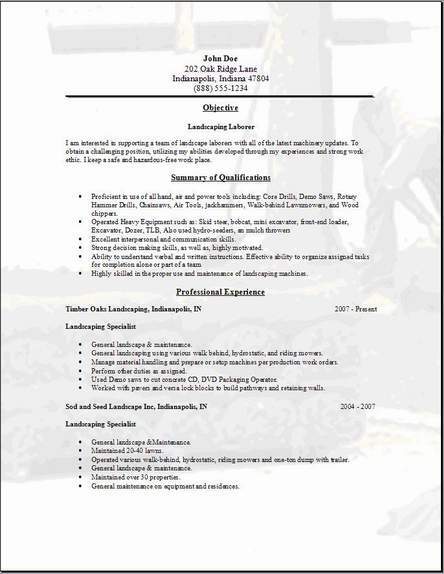 E-mail this page to your friends so they can get a free sample of landscaping resume. Just click save---save in Desktop--- leave file name the same. Please put our site on your favorites then refer to it later. There are around 920,000 landscapers in the USA. The average hourly rate paid is $12.00 per hour but it also depends on what part of the country you live in. The average yearly salary is $24,800. These are the most used examples for you to edit when making a resume. When you are done with your editing, your design will have a great look. You want your skills highlighted, so the hiring department won't have difficulty searching for them. And this is what these example resumes will do. When the HR dept first looks at it, your qualifications will be very distinctive and obvious. 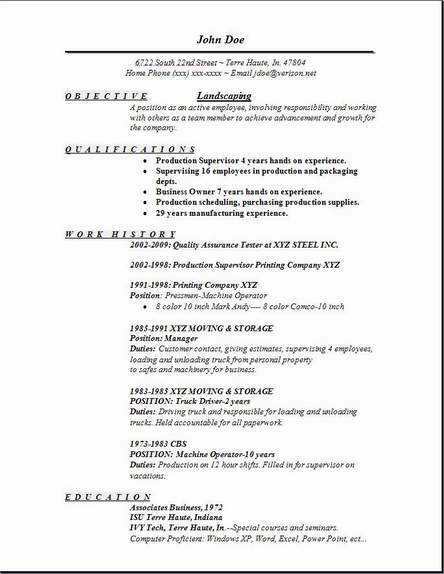 I definitely want your final result to be professional, and once you completely edit this fabulous resume with your work history information, you will have accomplished what you are here for. These free resumes are very useful. Just look at the original then backspace and edit your info in place of what is already there. Visit some of the other pages to get a better idea. The landscaping template above has a background addition. I really hope you enjoy the choice of getting to download 3 of the most useful resume formats even if you choose not to use the background picture effect. Chronological, is the choice most people make. Leave us some comments on the contact us web page with you input. I would appreciate your comments on the picture or no picture background. You want to gather all the information you can from this website to arrange the strongest resume possible to get the interview.We need to add a job interview video in the near future that would also be helpful since I realize how an interview is very nerve racking, I will start on that right away. You will never receive enough helpful tips when you are trying to decide how you can arrange the information you must have for your new resume. Prepare your resume with confidence. Searching the information provided until you stumble on the help you need. Re write your resume several times. Have a friend look it over and have them pick out the best landscaping resume of the bunch. Then improve on it again and again until you have a masterpiece resume in hand that you have confidence in getting an interview. 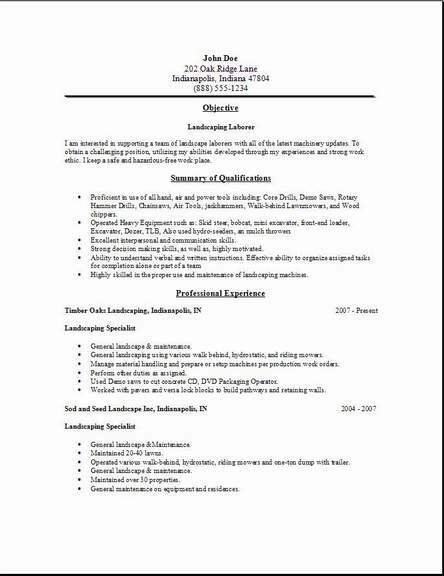 After all your friends have looked over your landscaping resume, send it out to every potential employer around your area. Experiment and add your own picture background. I want to wish you great success. Tell your friends about this free resume you found.